Description:Serial port bluetooth, Drop-in replacement for wired serial connections, transparent u.. Description:The LSM9DS1 is a versatile, motion-sensing system-in-a-chip. It houses a 3-axis accele.. 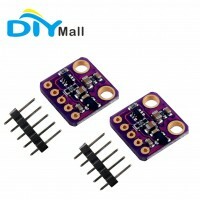 Description:The CCS811 is an ultra-low power digital gas sensor solution which integrates a metal .. 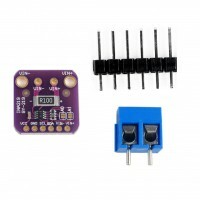 Description:The Si5351A clock generator is an I2C controller clock generator. It uses the onboard .. Description:This breakout board will solve all your power-monitoring problems. Instead of struggli.. 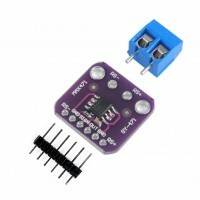 Description: The GY-21P Atmospheric Sensor Breakout is the easy way to measure barometric pressure.. 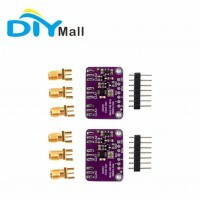 Description:The ADXL345 is the latest 3-axis, digital output accelerometer from Analog Devices, In.. Description:Operating Voltage: 3-5VOperating Current: 15mAResponse frequency: 10HZCommunication Form.. Description:This module can be used to test the current and voltage.The principle of voltage test .. 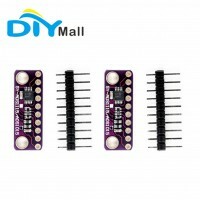 Description:Chip: VL53L0X + STM32Power supply: 3-5v (internal low dropout voltage regulator)Range: 2.. Description:Chip: MPU-9250+BMP280Power supply: 3-5VCommunication: standard IIC/SPI communication pro.. 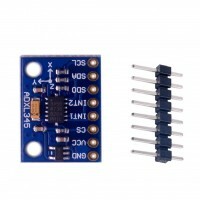 Description:This is RGB and Gesture Sensor, a small breakout board that offers ambient light and c.. Description:For microcontrollers without an analog-to-digital converter or when you want a higher-.. Description:Wide supply range: 2.0V to 5.5VLow current consumption:continunous mode:only Only 150µA ..
Descripton:Voltage:3-5VThe BME280 is a great new chip which was originally designed for the ..